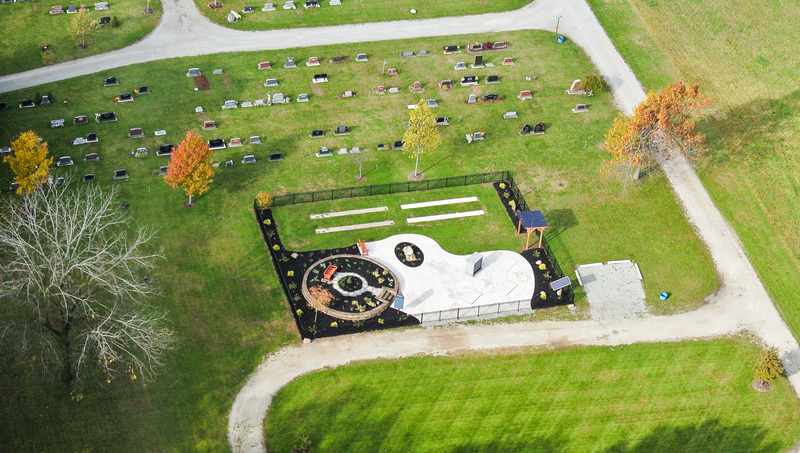 Perennials are spouting, trees and bushes are greening, and the water feature is bubbling in the new cremation garden completed in September 2017 in Violett Cemetery, 2818 Violett Road. The Garden was conceived by Goshen City Cemeteries staff as a way to offer new, affordable options to the increasing number of families choosing cremation. The design seeks to strike a balance between beauty and dignity on one hand and economy on the other. The project was built using the expertise of local tradesmen and vendors and in some cases, local materials. Many of the landscape boulders used, for example, were dug out on the cemetery grounds.